SQL: No report servers were found: what's in a name? 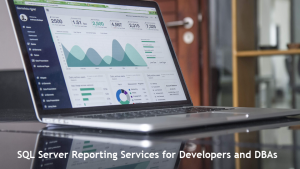 If you've worked with earlier versions of SQL Server, it's likely that you've configured SQL Server Reporting Services. 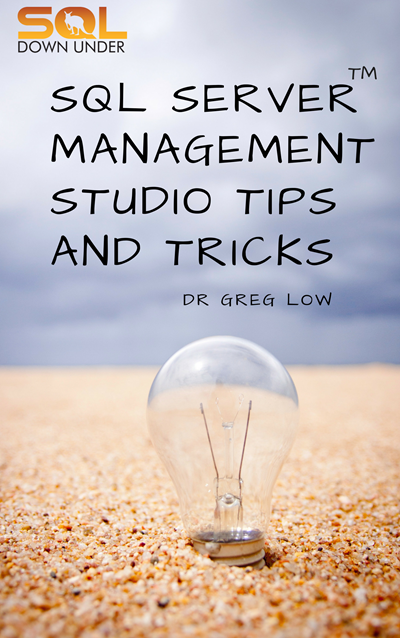 To do that, the tool you use is Reporting Services Configuration Manager. Lately, though, I've seen a number of people installing SQL Server 2017 Reporting Services and being confused. The same applies to Power BI Report Server installation. 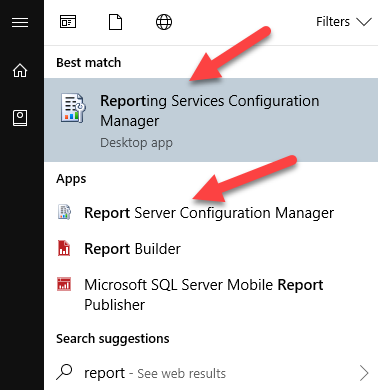 During installation they are provided with an option to configure the report server, but if they go back into Reporting Services Configuration Manager, they can't find the server. They get the No report servers error shown in the featured image above. The first option will still find your older Reporting Services installations and allow you to configure them. The second option will let you find a SQL Server 2017 Report Server or a Power BI Report Server and configure it. 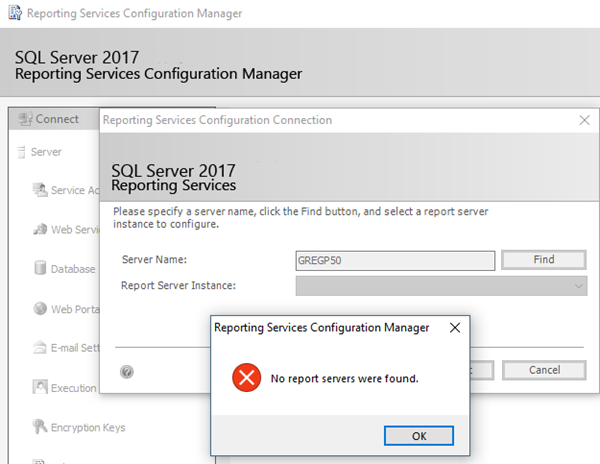 It's worth noting that in SQL Server 2017, Reporting Services is no longer multi-instance. You can have one SQL Server 2017 Report Server OR one Power BI Report Server on a system. Hilarious I had to google this. Thanks.